Polymers can be characterized by gradient elution techniques in order to obtain information on their chemical composition and molar mass. 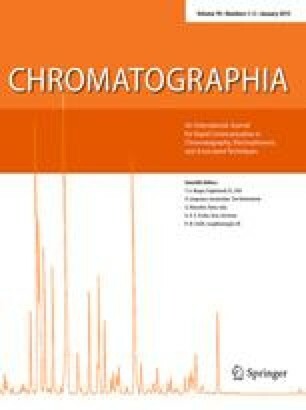 In this paper, features and applications of Normal Phase Gradient Polymer Elution Chromatography (NP-GPEC) for the characterization of (co)polyesters are investigated. Two polyesters were characterized, using various stationary and mobile phases. Separation was shown to be dominated by end groups in most cases, and to a lesser extent by molar mass. A distinct influence of both column type and mobile phase type was observed. A polymer based polyamine (PA) column povided the best results, although no complete separation between the mono- and di-acid fractions could be obtained. In all cases, separation was governed by sorption rather than by precipitation/redissolution. NP-GPEC was shown to be a potentially interesting technique for the characterization of copolyesters according to the chemical composition of the backbone, independent of end groups.